I am always looking for ways to get those healthy antioxidants into my body. Antioxidants are so good for optimal health. These wonderful nutrients, if that’s how they can be classified, are good for the body in so many ways. They help our immune system, prevent diseases and so much more. If you have never heard about antioxidants, then go search them up for more info. Did you know that berries are a wonderful source of antioxidants? They are and they are also very rich in vitamins and minerals. I just love summer and all the berries that are available in the store. I always try to stock up on berries as they are so good. My kids also think berries and eat them up quickly so I tend to not get the opportunity to eat them often. So how am I suppose to get those powerful antioxidants into my body to reap those yummy benefits? 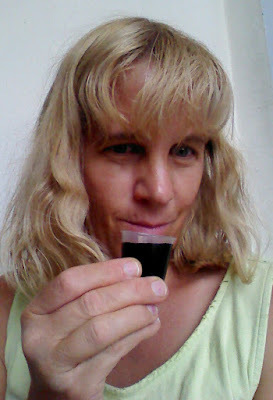 I drink a shot of a delicious deep purple supplement that contains many of my favorite berries. I just love that I only need one tablespoon to get a variety of antioxidants, vitamins, and minerals that are equal to many servings of berries. So what is this powerhouse supplement? My new favorite supplement is Nutri Maqui Proprietary Blend. 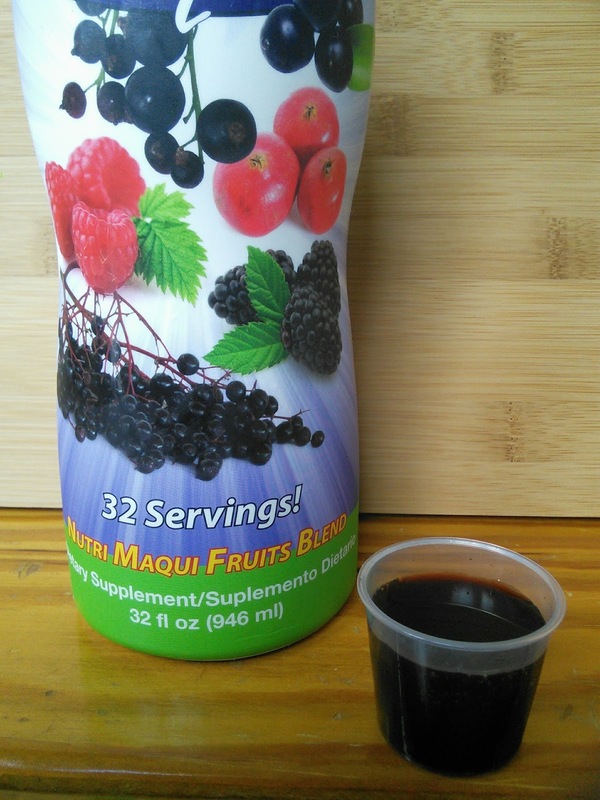 This concentrated blend is a mix that combines wonderful berries like the dark purple maqui berry with others like acia berry, elderberry, blackberry, raspberry, and pomegranate. This blend is a berry delicious way to support antioxidant intake. 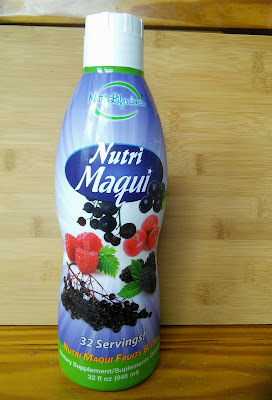 I had never heard about the maqui berry until I discovered this drink. The maqui, pronounced “Ma-Key”, is a dark purple berry that is indigenous to Chile and has been consumed by the Mapuche Indians for centuries. They love these berries for supporting energy and immune health. So what health benefits does this delicious Nutri Maqui Blend offer? This superfruit blend is rich in antioxidants and other essential nutrients and is a nutritional powerhouse. The Nutri Maqui blend supports healthy inflammatory response, optimal immune function, oxidative relief, and overall longevity. You can enjoy this sweet, tart berry blend by itself or add it to smoothies, yogurt, ice cream, and more. It makes for a great pre-workout fuel. I just love drinking a shot before I go running. Sometimes I have some in the afternoon for a delicious pick-me–up treat. This blend is also gluten free, vegan and does not contain artificial colors or flavors, wheat, gluten, soy, corn, yeast, dairy, or lactose. Here is some more info about my new favorite way to drink berries. 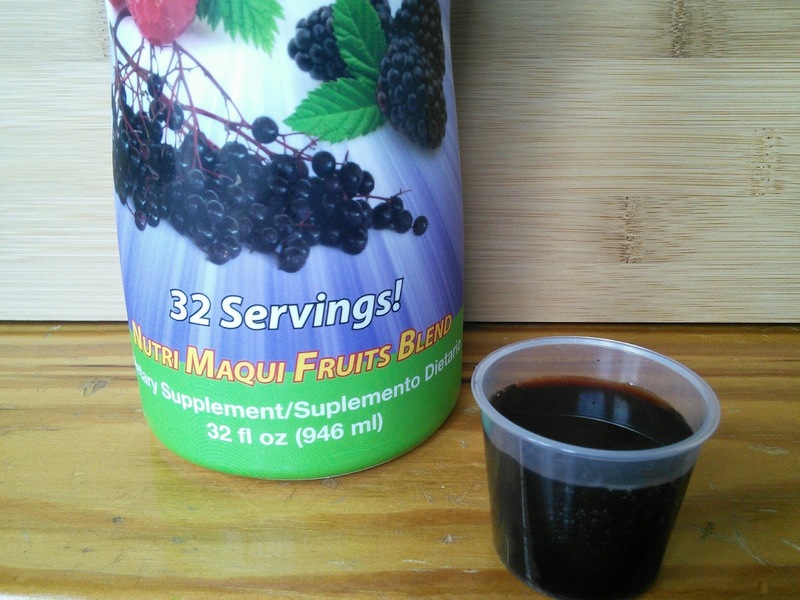 Go here to learn more about Nutri Maqui Proprietary Blend. Would you like to try this delicious purple supplement? I am hosting a giveaway and two lucky readers will win a bottle of Nutri Maqui Proprietary Blend. Just enter on the form below and good luck! "These opinions are mine and I received samples of the above-mentioned product to facilitate this post." I like the raspberries and don't eat them enough. Oooh! I love the idea of this. I need to check this out. I eat a lot of berries when they are in season, but they are not very tasty most of the year so I don't eat them. Wow, this is a powerhouse of nutrients! I am a huge believer in the power of berries, thanks for a wonderful write up. This is so true. Berries have many health benefits. They reduce the postprandial insulin response for women. Thank you for sharing, everyone should check this out. Nice giveaway. I haven't tried this kind of a supplement, I do eat a lot of fresh blackberries and blueberries though! I eat berries constantly. When they are out of season I find things to do with the frozen ones. Raspberry Rosemary iced tea - a fav. This sounds like a great supplement! I would love to try it@! It sounds like an interesting supplement, I've never tried anything like it. What I like about it most is that it boosts your immunity! That's awesome. This sounds like a yummy way to boost your immunity. I would love to try this. I love this product so much! And that there are easy to take supplements that taste so very good, too. Perfect taste for summer. I love this, berries are really awesome! Acai berry is one of the most potent berries when it comes to antioxidant properties. I tried berry drinks and yes, they are loaded with antioxidants. They are a healthy substitute to instant powder drinks. I love that this is gluten free. It's also good there are no artificial colors, etc. in it. I've never heard of this brand but it sounds like it's helped you and it's nutritious, I may have to check it out in the future! Great post. Very informative. I def need to drink more things that have health benefits. Pomegranate. Didn't know it was a berry!! Thanks for the chance to enter. I bet I would benefit from taking this. I've tried other products but didn't like the taste of them. I'd probably love berry. I love the taste of certain berries more than I like the texture of them so I could certainly get down with this and give it a try! I know there must be some magic in many fruits and berries and I have to see how I like this for myself seeing as ive never come across it before! Thanks for sharing! My family and I are huge fans of berries! We could eat them all the time. I think that this supplement sounds amazing too. I'm sure I'd like this. I wouldn't mind giving it a try. I bet my sister in law would love it too. I love berries but since they are expensive I don't eat them as often as other fruits. This sounds like a great way to get in those antioxidants. Sounds like it could be a reat way to get a concentrated shot of a ton of nutrients. Thanks for the review. YUM! I love quick nutrition aides like this. It sounds delicious. I love drinking juices from natural resources, this one is a must try. I hope that it is really tasty, aside from being healthy. Acai Berry is my favorite berry in this blend of juices. It has a lot of anti-oxidants. Raspberries are my favorite in the supplement. The Acai berry is my favorite. I love all berries but raspberries are my favorite! !